A good teacher is invaluable. They inspire, educate and look after us or our children. So many famous and successful people can map their success back to a teacher who believed in them. 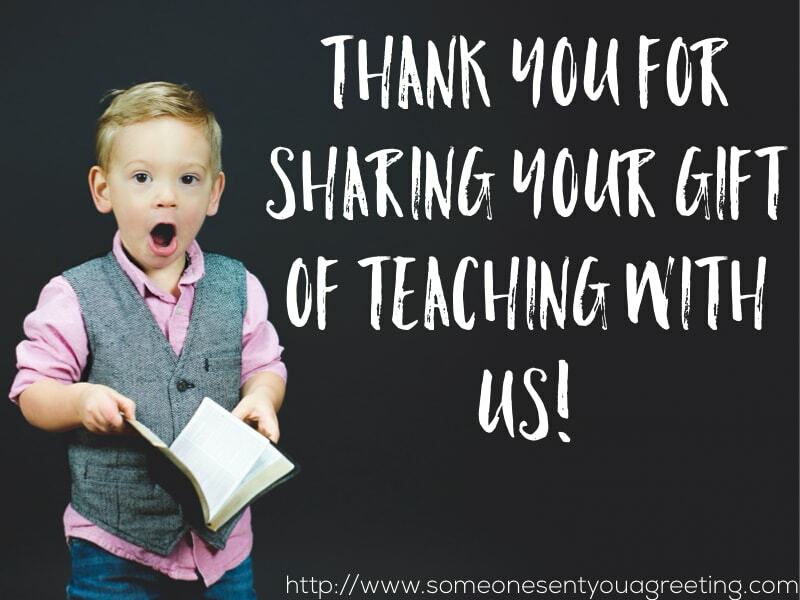 So expressing your gratitude to a teacher who has been important in you or your child’s life is a small way of saying thanks. 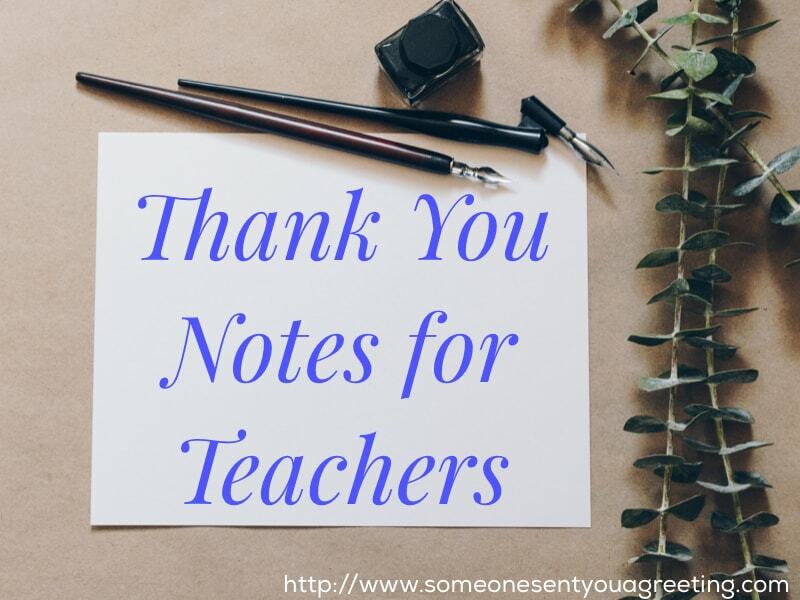 And thank you notes for teachers need not be long or overly sentimental. Just a quick few lines, or a simple card is enough. It’s the sort of thing we can all manage. So there’s no excuse! 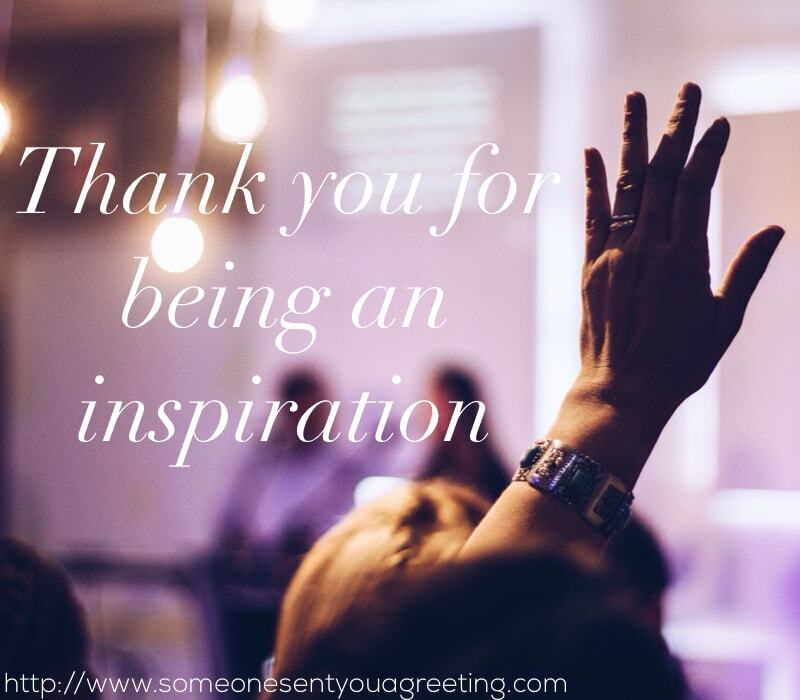 Use some of the examples below as inspiration to write your own thank you note, or copy them directly. Thank you for creating an environment of enthusiasm for learning, appreciation for growing, and room for making mistakes along the way. I am grateful to have you as a guide, leading by example. You opened three things for me. A window to the world, a door to opportunities and a heart to be filled with dreams. Thanks for being an awesome teacher. I was like wet sand and you were a mold. You made an impression on me for life. Thank you teacher. I am lucky to have the best teacher in this world. Wherever I may go in my life, I will always remember that I had an excellent guide in the form of a teacher, You. Thank you for being the best teacher I could have ever imagined. You even managed to make school! Thank you for making _____’s first year of school that much easier. We know how tough school can be so to have such a great teacher was a blessing. Thank you for your patience with ______. We know he/she can be a handful but the time and work you’ve put in with him/her has not gone unnoticed by us. 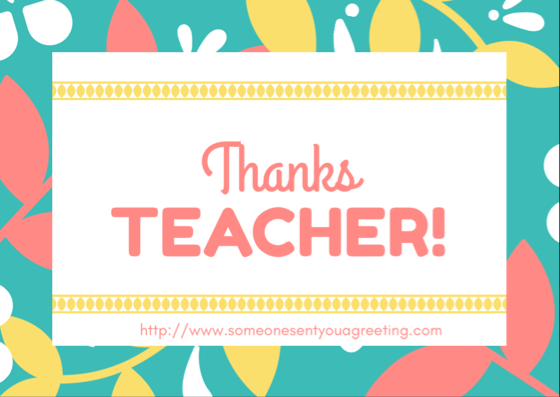 We are truly thankful you are his/her teacher. A good teacher is hard to find but we definitely found one for _____. Thank you for doing a brilliant job! Dear Mr/Mrs/Miss ______,We are very pleased that Cameron is enjoying his second year at school. Most of all we would like to thank you for all the hard work and effort you put in to making the lessons interesting and fun. Dear Miss/Mrs/Mr _______,Alexander’s preschool years have now come to an end! We would like to thank you for all your hard work, support and encouragement that you have given our son during his 3 years in the elephant group. He loved every minute of preschool and always came home full of enthusiasm and stories to tell. We can’t thank you enough for making his years so happy. As my Teacher is you.